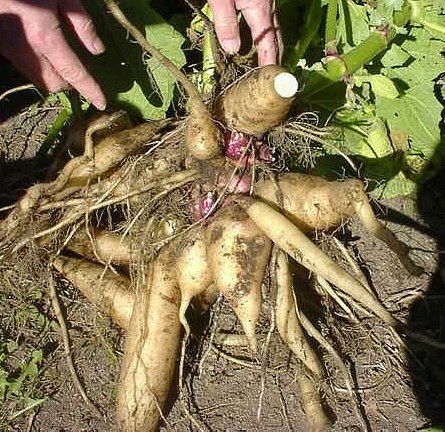 Yacon - the Bolivian Sunroot - is an unusual vegetable eaten for over 1,500 years in the Andes mountains, but virtually unknown elsewhere. 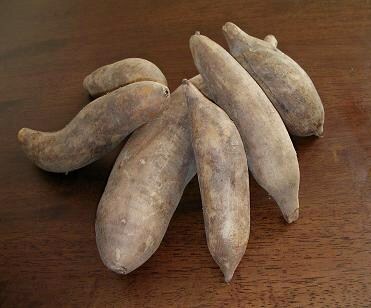 This delicious root is surprisingly sweet, and is also very juicy and crisp. It's sort of like eating a water chestnut that is almost as sweet as an apple or melon. 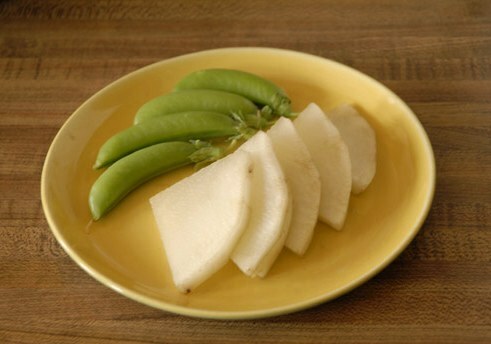 Yacon contains a low-calorie sugar substitute that makes it perfect for weight loss plans or low-sugar diets. The plants are high-yielding and easy to grow. You're not likely to find this rare veggie in markets, but now you can grow your own supply at home! 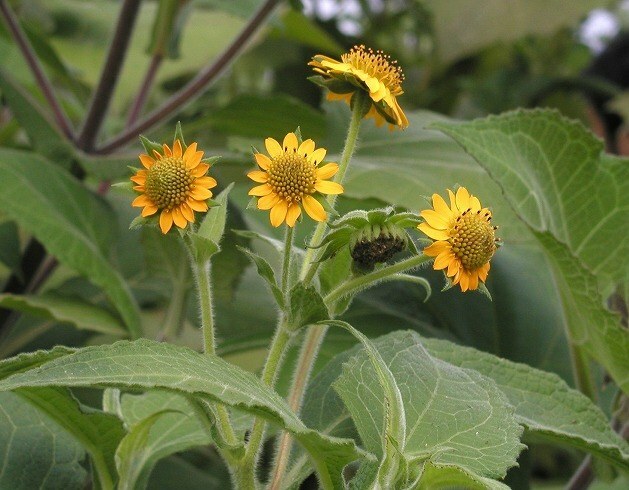 Yacon (Smallanthus sonchifolius) is a member of the Sunflower and Dahlia family. It forms two kinds of roots: large storage tubers (the parts that are eaten), and central "eyes", from which the plant may be propagated. 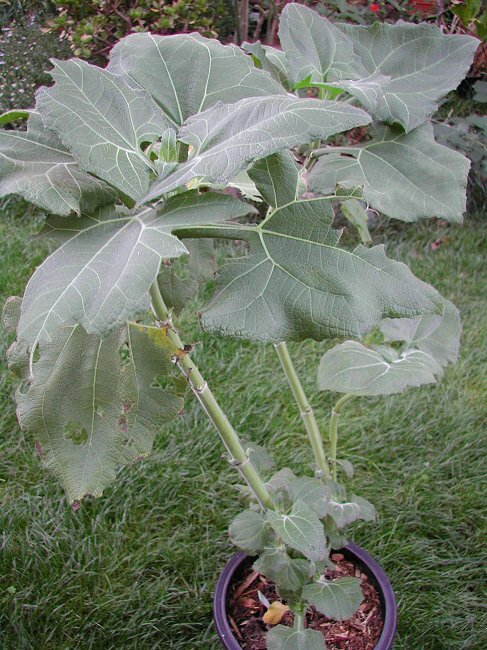 Yacon grows about 4 to 6 feet tall, with oversized, fuzzy leaves that are triangular in shape. It's an attractive, exotic-looking plant that's worth growing just for the foliage! When the leaves die back in late fall or winter, the tubers are ready for harvesting. They average 5 to 10 ounces each, and are about 90% water, which gives them their juiciness. I prefer eating them fresh, by simply peeling them and eating them like an apple! You may also bake them or add them to soups or salads. Some recipes for Yacon are here. And here is a CNN article on the rediscovery of this useful veggie. Yacon comes from a mild climate, with nights that are cool. It is known to handle temperatures in the mid-80s (30°C), but i have no information on how it will do in hotter areas. It might not thrive in very hot climates, especially if nights are warm. The plant needs to grow for about 7-8 months to form large tubers, and the foliage needs protection from frost during this time. You may grow it in large container at least 15 inches wide (40 cm). It prefers partly sunny conditions, with protection from strong afternoon sun. It likes rich, well-draining soil that's kept consistently moist.